OPENSPACE3D V1.40 : A shower of new plugITs ! 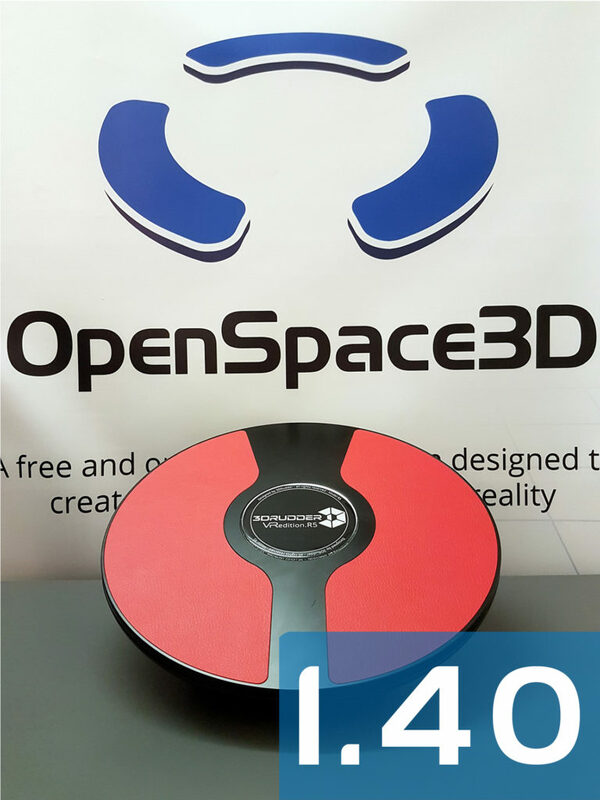 With this new version, the OpenSpace3D team offers you a myriad of new plugITs to better manage your interfaces, lights, materials and more. You will find among other things, improvements of old plugITs, brand new interface plugITs, and a new plugIT category that makes its appearance: the “tools” plugITs. This update also includes its share of corrections and addition, such as a new template for viewer and a new compatible peripheral device : the 3dRudder. Among these new plugITs are many plugITs offering interfaces of a new type in OpenSpace3D. Offer more information and interactivity to your users ! A fully customizable menu is available, as well as dialog boxes of various types to inform your users or ask them for information, as well in 2D as in 3D. OpenSpace3D now provides you with a new project template (images above), made for and with the support of the “Consortium 3D SHS de la TGIR Huma-Num”. 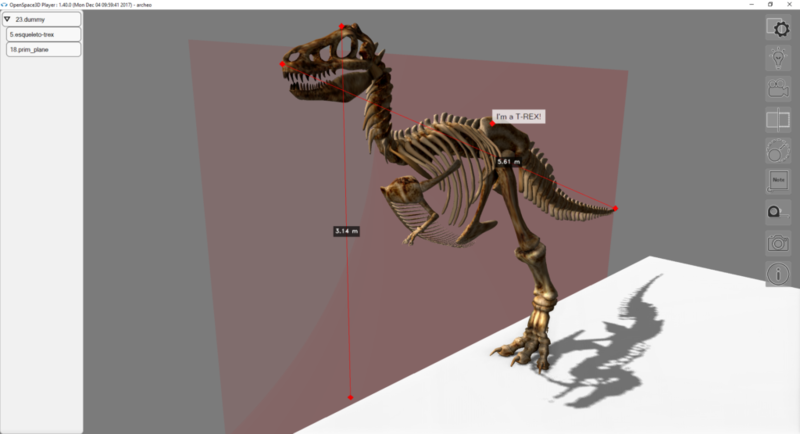 Located in the OpenSpace3D/assets/templates/viewer_archeo folder, you just need to import it into your scene to benefit from ideal interfaces and tools for any 3D object observation and analysis. Measurement tools, annotations, cut plane and materials editing are only part of the features offered by this template. 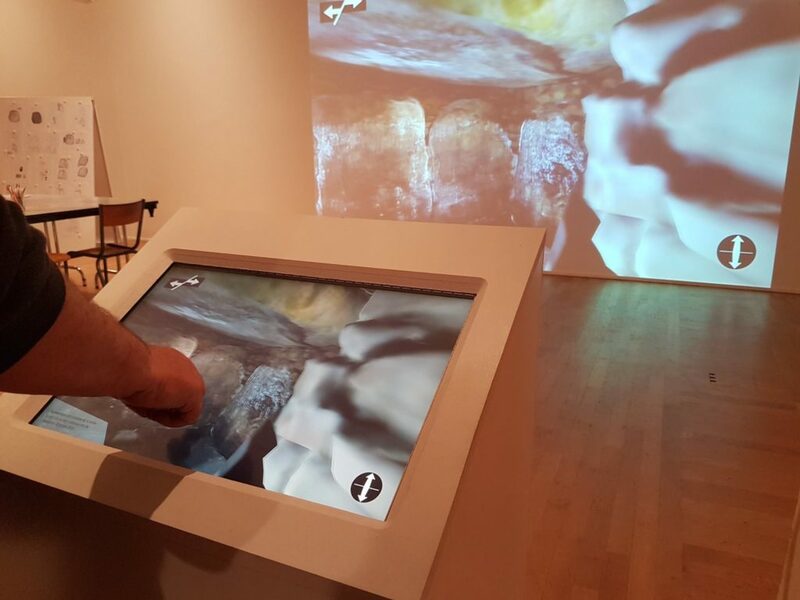 In September, we realized the exhibition “Explorations virtuelles de Mané er Groez, dolmen à Carnac” in collaboration with the LARA (“laboratoire de recherche en archéologie et architectures”) of Nantes, the “Musée de la Préhistoire James Miln – Zacharie Le Rouzic” of Carnac, the Groom Collective and the AUNA (“association universitaire nantaise d’archéologie”). 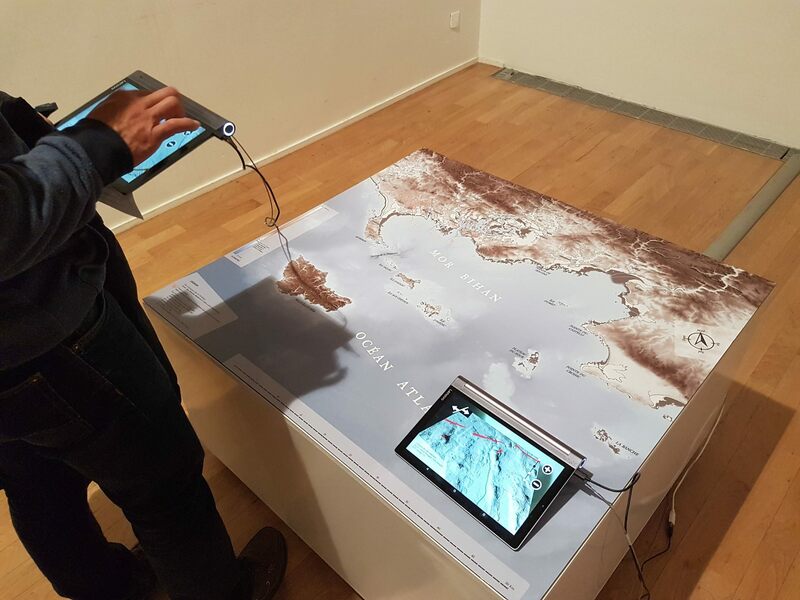 This exhibition took place at the Château des Ducs de Bretagne, in Nantes, and featured two applications made with OpenSpace3D. 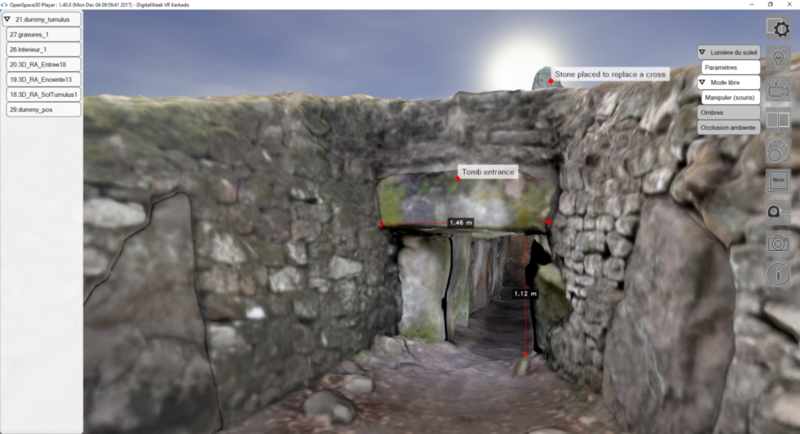 The first proposed to discover the site and its history in augmented reality, while the second offered a virtual tour of the site of Mané er Groez and highlighed the archaeological work done on site. 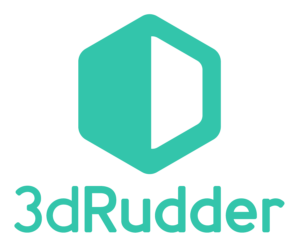 We also added support for a new device : the 3dRudder ! The 3dRudder will allow you to move like never before in a 3 dimensional world, using your feet. Ideal for virtual reality! Learn how to use it in the new dedicated demo, and add it to your apps !